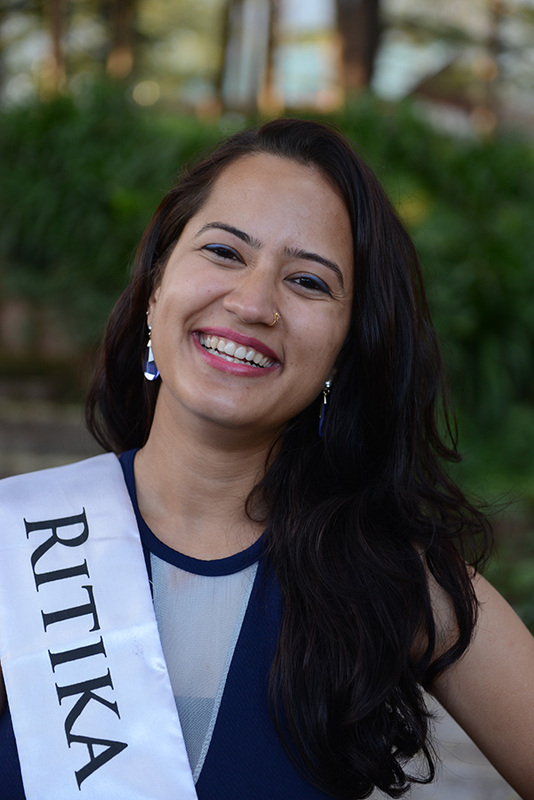 Ritika Sharma is from Shimla, Himachal Pradesh. She is a medical student, presently working as a Radiation Therapist. She speaks Hindi and English, and likes dancing and travelling. Rikita was born on 20 June 1994, and is 165 cm tall. My work in the cancer field involves giving radiation therapy to cancer patients. Through this work I came to know that life is very short and uncertain, and as a result I just want to try everything I am passionate about. In the future I want to explore the fields of both science and modelling -- because science is my education and modelling is my passion. The word Himalayas means "abode of snow". They form a mountain range in Asia separating the plains of the Indian subcontinent from the Tibetan plateau. It spreads itself in Bhutan, China, India, Nepal, beyond man-made boundaries, and symbolize nature itself. The Himalayan population belongs to four distinct cultural groups which are Hindu, Buddhist, Islamic, and animist. For Hindus the Himalayas are personified as Himarath (the father of the goddess Parvati), and Mount Kailash as Lord Shiva's living place. Parotaklsang is a holy place where Buddhism started in Bhutan. The Himalayas are related to traditional aspects also. One unique thing is that they are linked to an unbroken lineage of sages. The Himalayan mountains have been the home of sages for millennia, who serve humanity through selflessness in an expression of love, which we follow through mind, action, and speech. Yoga and meditation come naturally in its peaceful environment. The Himalayan people's heart is as pure as its cool air. The Himalayan peoples are very spiritual, ethnic, calm,honest, and hard-working. Himalayan culture, language, tradition, architecture, beliefs, and hand-woven clothes all justify my above statements. In short we can say that being Himalayan is a blessing from god, and I always feel blessed for being a apart of it. Through work with cancer patients, I came to know that life is very short and uncertain, and as a result I just want to try everything I am passionate about.